Extreme light weight frameless design. Dual polycarbonate toric lens. 100% UV protection. Uber maximum peripheral vision. Forward venting for maximum air flow. Polar fleece triple density molded face foam. Glaricade anti-fog and hard coated lens. Molded polyurethane nose guard. Lightweight dual adjustable strap. Helmet compatible. Dual sleeve microfiber bag. If you are looking for the ultimate in visual clarity in your goggle's optics, look no further. Our WildLife Lens is a contrast enhancement filter that dramatically improves color brightness and contours in all lighting conditions, offering maximum definition, acuity and clarity in a way you have never experienced. 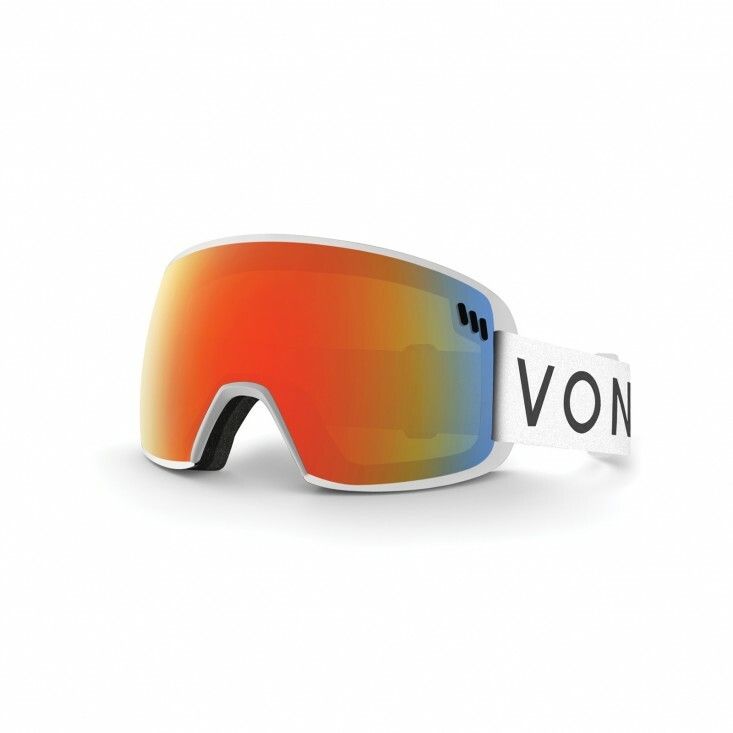 We have developed these exclusive lenses to filter out specific blue light wavelengths to help you identify all of the obstacles, transitions and terrain variations in each run, providing sharpness and accurate vision so you can take your on-snow game to the next level.